This line of mallets is designed with durability, projection and tone quality in mind. Each marimba model has a hard rubber core with the weight to fill any stadium with the warmest fundamental tone possible. The wrap, used exclusively for the marimba mallets, is a special tightly woven multi-ply wool with proven strength and durability. 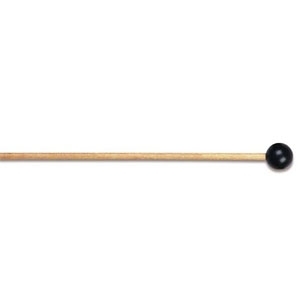 Each of the vibraphone mallets has a mushroom shaped rubber core wrapped with a multi-ply cord and is constructed to withstand the conditions of daily outdoor rehearsal and performance. For bells and xylophone, we have designed a thicker birch shaft and added weight to help project through any ensemble. Our Field Series mallets are constructed with durable rattan and highly polished birch shafts for a smooth, natural finish. The winning combination of hand crafted quality and field tested design has led Innovative Percussion's Field Series mallets to the forefront of today's marching ensemble.